A memorial Mass for Sister Eileen Donovan was celebrated at the Theresa Center Chapel at the School Sisters of Notre Dame in Lemay Feb. 23. 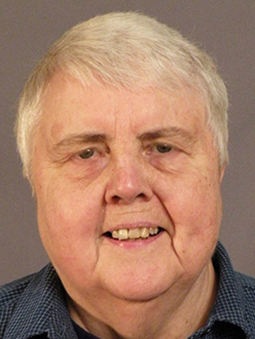 Sister Eileen, a former teacher, neighborhood organizer and social service provider, died Feb. 7 at age 78. Born in Boston, her family later moved to California where she entered the School Sisters of Notre Dame. She came to Sancta Maria in Ripa in Lemay and began her college studies. In 1959, she was received into the novitiate and given the name, Miriam Daniel. She professed first vows in 1960 and final vows in 1966. She later returned to her baptismal name. Sister Eileen taught at St. Dominic Savio School in Affton and the Notre Dame Tutorial/Learning Center in Lemay. She taught at Althoff High School in Belleville, Ill., and was an assistant principal and teacher in California. For more than 25 years, Sister Eileen was an advocate for people who are poor and marginalized of St. Louis. She worked with the Penrose Park Neighborhood Association, managed the College Hill Neighborhood apartments and began the Renaissance Housing Corporation to provide housing for low-income families. She taught a weekly Bible class and led religious services for inmates at the St. Louis Medium Security Prison. She was an assistant program director at the Society of St. Vincent de Paul. She also ministered as a counselor at the St. Clair County Mental Health Center in East St. Louis, Ill., and was executive director of Our Lady’s Inn in St. Louis. In 1991, Sister Eileen received the Women of Achievement Award for Human Welfare sponsored by KMOX Radio and the Suburban Journals. This award recognized her work on land use and housing development in the inner city. Sister Eileen worked for a year as a legislative assistant to a state representative. She ran for the St. Louis School Board of Education in 1987 and was the peace and justice coordinator for the Society of Mary for two years. She tutored students at Saint Louis University for three years. Survivors include a sister, Dorothy Broderick of Rancho Mirage, Calif. She donated her body to SLU School of Medicine.